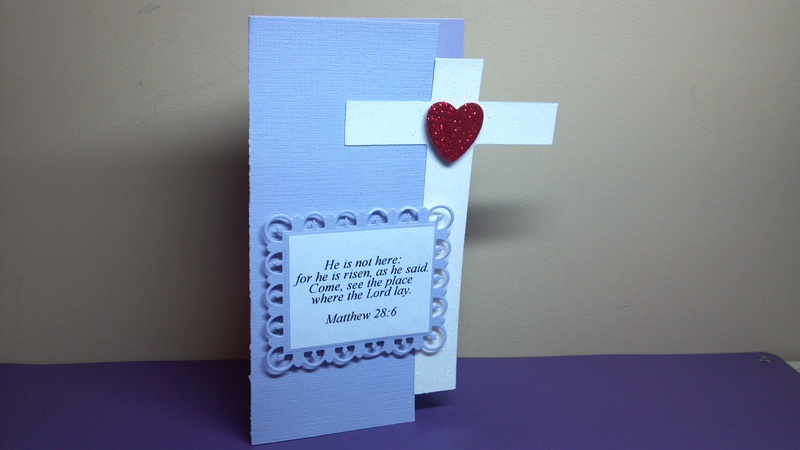 The Cross Shaped Card Set, the Believe Shaped Word Card, and Easter Mini Words Printable Stamps. I used shades of rust and the pop of color is red. I whipped out an old paper pad to find the rugged wood paper for the cross overlay. The inside is plane for now until I decide who will received the card. In my video below, I share some possible sentiments and matting ideas. 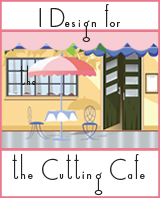 Make sure you head to The Cutting Cafe Blog on the 7th and 21st of each month to see the design team posts. Leave a comment and you just might win three free files of your choice! For our projects this week, we could choose from any files at The Cutting Cafe. There is sure to be a large variety for our Design Team post this time. Make sure you stop by the blog and take a look. Leave a comment because we love reading them and it will automatically put you in a drawing to win three files on our next post date (we post on the 7th and 21st of each month). 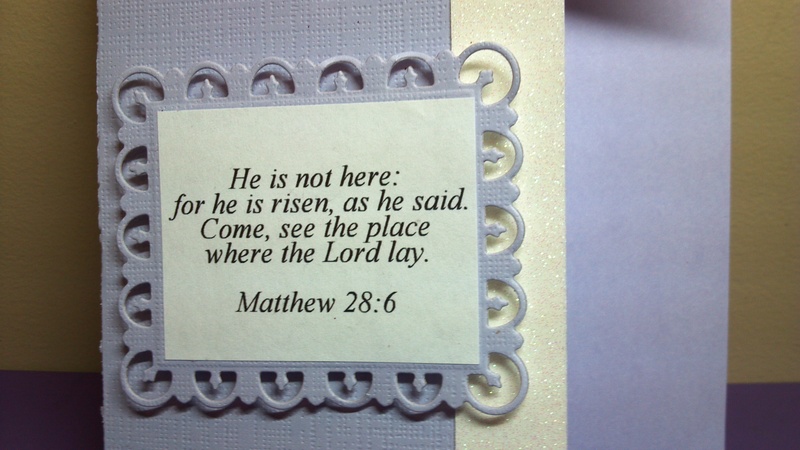 The Cross Shaped Card Set, Easter Mini Words Printable Stamp Set, Easter Banners Colored Set Printable Stamps, and Easter Inside and Out Greetings Printable Stamps. I really like how it turned out. 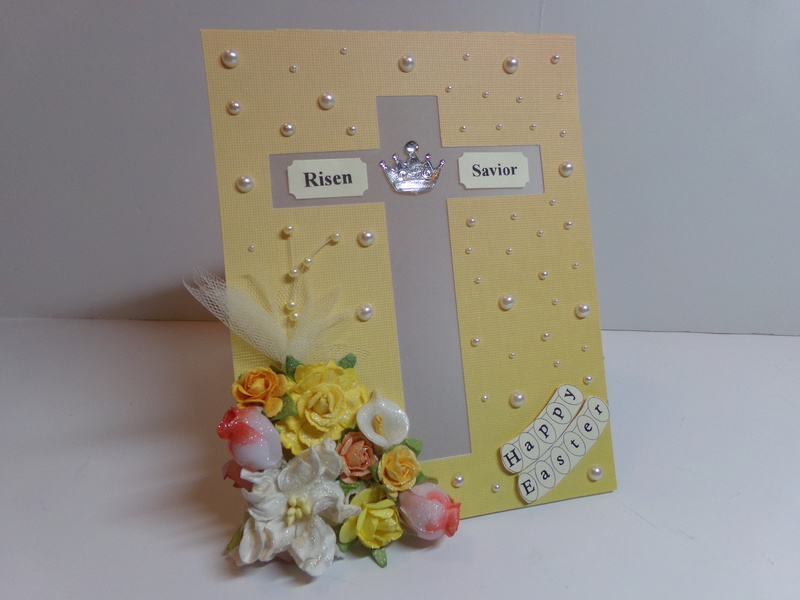 I used a gradient paper in yellow and orange that reminds me of a sunrise and Easter Sunrise services at church. 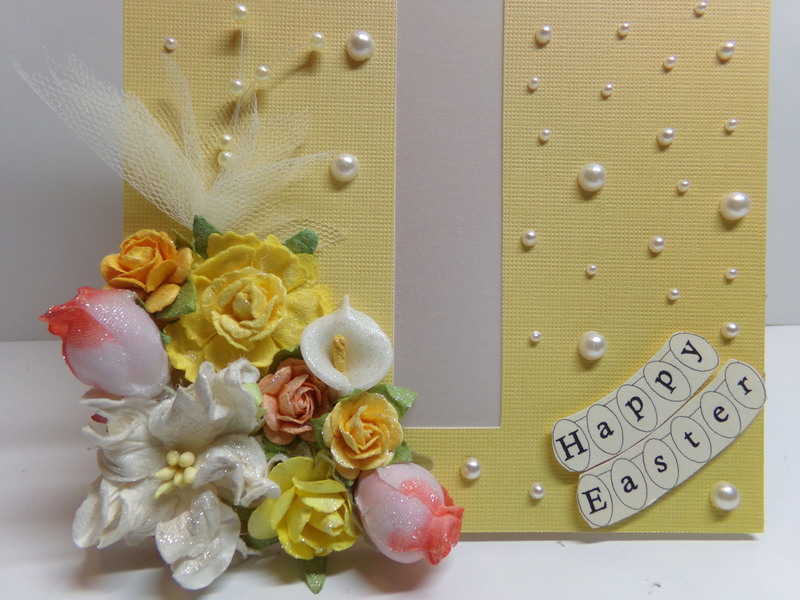 I added three sizes of individual pearls randomly all over the card which gives it an elegant touch. 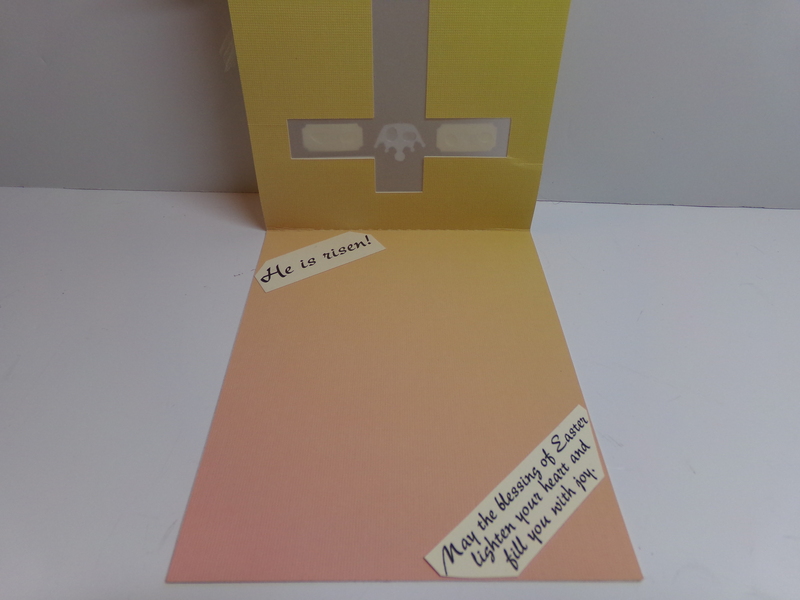 For the inside, I cut a second card out and put them back to back with velum for the cross in between. I cut the sentiments and placed them so they would not show through the vellum cross. To find out how I made this and the products used please watch my video below. Thanks for stopping by! This week at The Cutting Cafe we focused on Easter. 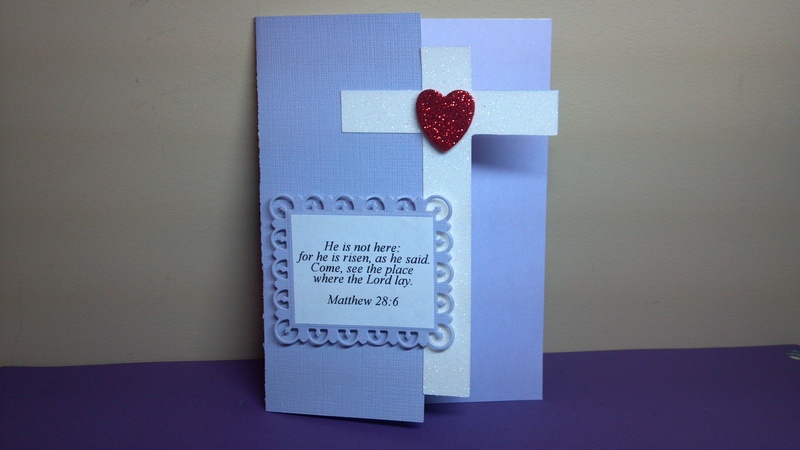 I used the Bible Easter Verses Printable Stamp Set and I paired it with the Cross Shaped Card Set. I used a lavender card stock and a shade lighter paper for the inside. 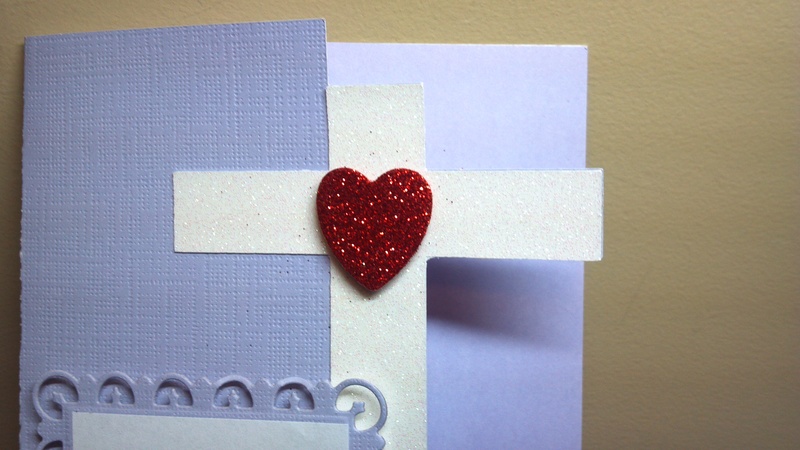 I topped the cross with white glitter paper and added a red glitter heart. I printed the verse on white paper and put it on top of a rectangle Spellbinder cutout that I popped up on foam dots. 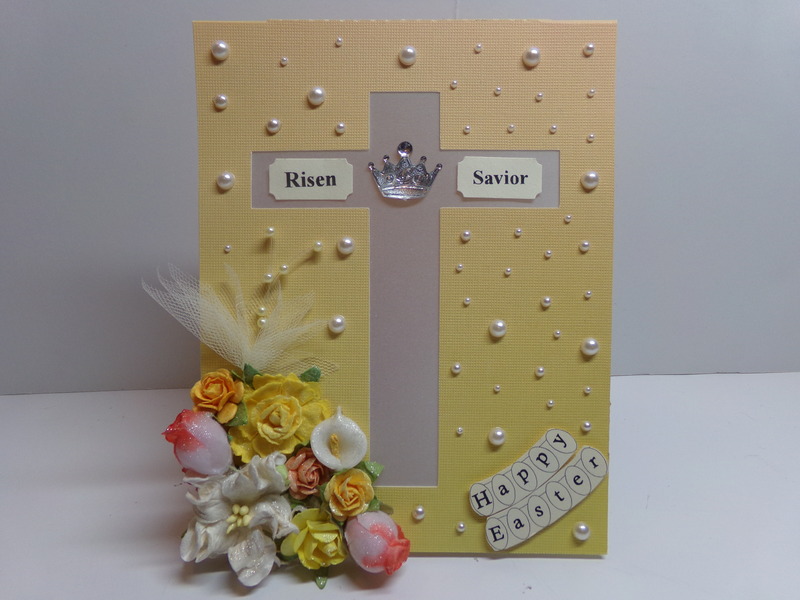 There were several other files we could use this week also including the Easter Elisha Jean and Friends Printable Stamp Set, The Easter Bunny Shaped Card 2, and the Egg Goodie Box. Make sure you visit The Cutting Cafe Blog on Wednesday afternoon or some time this week to see what the other design team members will make. Plus, leave a comment and you just might win three free files of your choice in a drawing next week.